Pür Minerals has a new palette inspired by the new and highly anticipated film Jupiter Ascending starring Mila Kunis and Channing Tatum. Eye Shadows: Six stunning shades of shadow from subtle neutral to dramatic shimmer help you get Jupiter’s striking look. The talc-free eye shadows come in matte, satin, and metallic textures for a wide range of looks from day to night. Galaxy Lip Gloss: Housed in futuristic light-up packaging, the iridescent pink gloss comes with a built-in touch-up mirror for beauty on the go. Space Eyeliner: This liquid precision eyeliner in inky black features a user-friendly felt tip for easy application. Get sharp, clean definition for flawless eyes with this daily must-have. 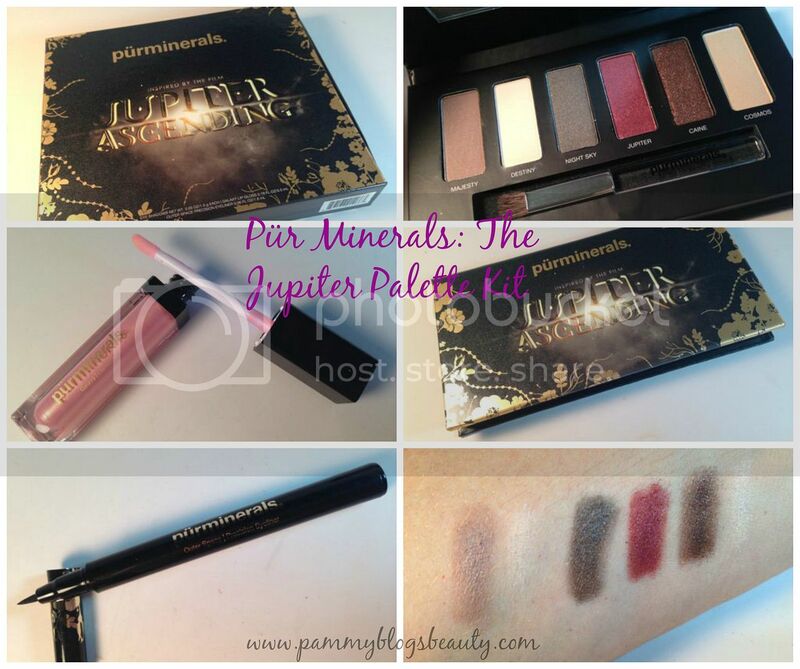 The overall look of this Jupiter Eye Shadow Palette and kit is very neutral and wearable! Personally, these are the types of eye shadow shades that I really love to wear. For the eyshadows, you can go either very subtle and natural. Or you could do a heavier/smokier look. The eyeshadows have a lovely soft and buttery texture with fabulous pigmentation. You get a variety of finishes here too: from matte to satin and even high shimmer! The Galaxy Lip Gloss is just too darn fun. I mean, ya'll, it lights up! While I never apply lipgloss in the dark, I still appreciate the fun factor here. I suppose it could be useful to have a light up lipgloss in the car or a club/dark bar at night. There is no question that someone would ask, "Where did you get that lipgloss"??? Light up feature aside, the gloss is a lovely semi-sheer light pink with irradecent sparkle. Really gorgeous! Plus, it pairs beautifully with the neutral shadows. The Outer Space Precision Eye liner is a felt tip liner in a dark black. The tip is ultra fine and very easy to maneuver. The liner wears very well and lasts all day. Super easy application, too! 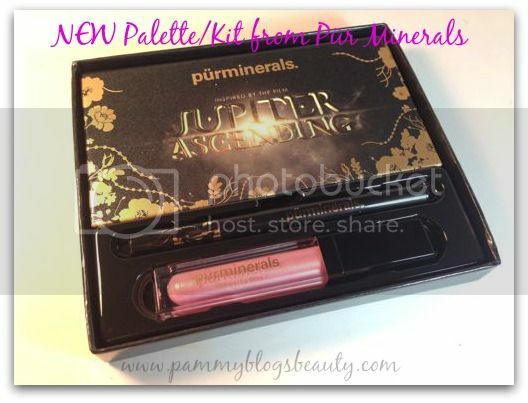 The Pür Minerals Jupiter Palette Kit is available exclusively at Ulta and Ulta.com for $29.00.